Several people I know live life with a certain sense of foreboding. I have even heard them say “I’m just waiting to see what goes wrong next”. My thought is always why? When I tell them why not look for what is going to go right next, they mumble something about living in a fantasy world, or how things always go wrong for them. When I mention it could possibly be because they are looking for them to go wrong I am faced with often disbelief and sometimes anger and indignation. Truth is whatever we focus on we create. Now I am not going to go into the science behind the law of attraction, as there are sites dedicated to just that. Here is the truth – in life there will always be ups and downs, positive and negatives – when we are looking to notice what is going wrong that will be highlighted and seem more prevalent. So what happens, what changes when we look for, and believe in the good that is going to come? 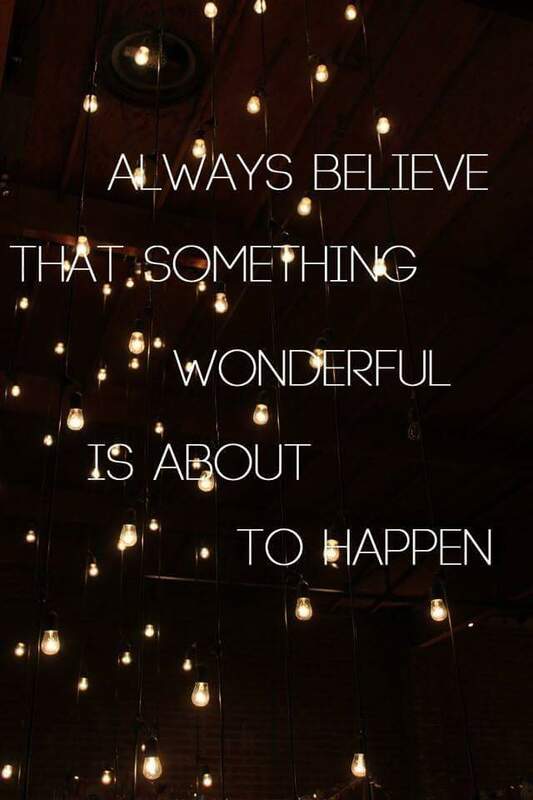 Two major things happen when you begin to expect and look for good things to happen. First, you start to feel better. You are filled with excitement and joy. People may even begin to comment on how you have changed, or what is different about you. Second, you start to notice the good things. Not only things that are happening, or did happen, but things that may happen, or will happen! You start to notice opportunities that may have slipped passed you before. As an added bonus, the bad things may fade from view. They will still be there because any life has it’s challenges, but they will seem less intimidating and overwhelming.